Who is the Capital One Venture Rewards Card for? Decision Time: Is this the Right Card for You? Anyone who travels regularly should really think about having a good travel rewards credit card in his or her wallet. When you have access to a premium travel rewards credit card, it can really wind up helping you to earn great rewards. This can save you money on travel expenses and it will make your overall traveling experience quite a bit nicer. One credit card that has proven to be a popular option is the Capital One Venture Rewards credit card. This credit card offers fantastic rewards and is overall very simple to use. Some credit cards are a bit convoluted with their rewards structure. Many cards make it difficult to figure out how to maximize the use of your credit card to get the best rewards. This one is quite a bit simpler but it still manages to help you earn great rewards in a straightforward way. Before you go ahead and apply for this credit card, it will be beneficial to look into all of the details. You want to know everything about the card so that you can determine if it is the right one for your situation. This is definitely a good card that has a lot of positives that will appeal to you. Take in all of the information so that you can get the perfect travel rewards card that you need in your life. You’ll earn 50,000 points after you spend $3,000 in the first 3 months. Statement credit for Global Entry or TSA PreCheck. Transfer points to airline and hotel travel partners. This is a great travel credit card. It offers a large introductory offer, free TSA PreCheck for 5 years, plus the annual fee is waived the first year. Prices and fees really do matter when you are looking into signing up for a new credit card. Some credit cards will have great rewards but they may come with a hefty annual fee attached to them. This credit card does have an annual fee that you will have to pay but it is not too high overall. You will need to pay a $95 annual fee for this credit card and the fee will be waived for the first year. This card also offers you a generally favorable APR. It is not really anything to write home about but it will fall within a range that you can be comfortable with. You always want to make sure that you are getting the best deal that you can with these cards. This is an easy card to keep in your wallet as it will not be throwing any unreasonable interest rates or odd fees at you. You won’t even have to pay foreign transaction fees when you make use of this card. If you travel abroad on occasion for either business or pleasure, then you will be able to use your card without worrying. This is a great deal as there are several travel credit cards on the market that do charge these fees. Being able to keep fees to a minimum in most areas and avoiding foreign transaction fees completely make this credit card stand out from the competition. The biggest feature of this credit card is that it has a high rewards rate. You will be able to earn 2X miles on every dollar that you spend. This is very convenient for helping you to earn those travel rewards that you are seeking. If you happen to fly very often, then you will definitely be mitigating the costs of your travel by using this card. You will also be able to enjoy a really nice sign-up bonus with this credit card. Spending a certain amount of money within the first three months will net you a large chunk of points. These points can be redeemed to go towards your travel expenses and it will be very beneficial to you. The spending amount to reach the bonus level for this reward is reasonable so it should be simple for you to take advantage of it. Redemption is very flexible with this credit card too. You will be able to redeem your miles at the travel center to help you get great deals on flights, hotels, rental cars, and much more. You can also choose to book your travel outside of the Capital One travel center and receive a statement credit. Redeeming rewards will always feel intuitive and you will never have a hard time making use of your earned miles. One really useful benefit of being a cardholder is that you get a fee credit for the Global Entry or TSA PreCheck programs. These programs are excellent for frequent fliers as they allow you to have a more streamlined experience. Applying for these programs involve associated fees and they are normally fairly high. Being a cardholder will allow you to get an application fee credit, making it easier to gain membership. You will also be able to enjoy certain travel benefits that can make your life easier. The Capital One Venture Rewards will give you travel accident insurance that will protect you from certain mishaps. This insurance goes up to $250,000 in coverage and you will also be able to get $3,000 in lost luggage coverage. The card can also act as secondary auto rental insurance when you are traveling with a rental car. Another benefit that you will passively make use of is this card’s ability to extend warranties on products that you are purchasing. When you buy a product with a warranty that is normally three years or less, your card is going to extend that warranty by one year. You will also be able to make use of purchase protection insurance which will protect you in the event that an item is stolen or damaged. You can be reimbursed for up to $500 per claim when it is within 90 days of the purchase date with a maximum of $50,000 in claims per cardholder. For the most part, this credit uses a very straightforward rewards program. No matter what you purchase, you will be able to earn two miles per every $1.00 that you spend. This allows you to rack up the rewards miles very quickly. It does not make a difference whether you are using your card to buy groceries or if you are purchasing airline tickets; you will still be earning those rewards miles. There is one really good exception to this rule that you will want to look into further. When you book and pay for hotels using the Hotels.com website, you can earn an increased rewards rate. This involves using a special link, but it will allow you to earn 10 miles for every $1.00 spent on this purchase. This is certainly incredible and it is something that you will want to try to use when you are booking a hotel. Otherwise, this is just a great general travel rewards credit card. Earning is very easy and redeeming your points will be a simple task as well. You can redeem your rewards miles at participating airlines and hotels without having any problems. 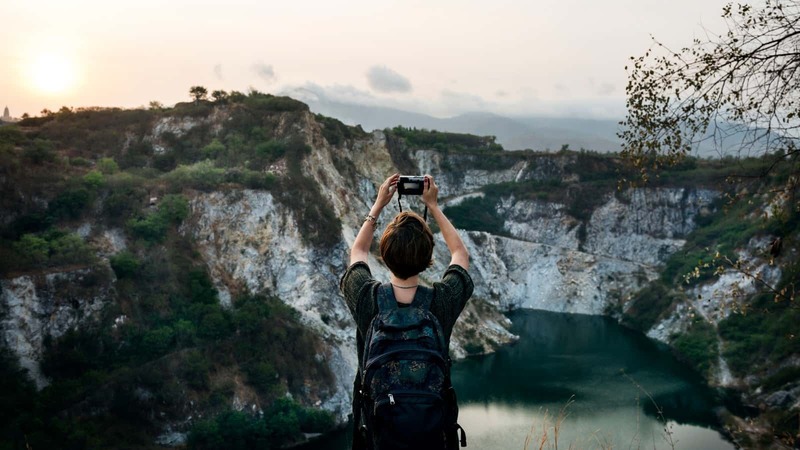 Booking your travel through the Capital One travel portal is going to be ideal but since you can earn statement credit when booking elsewhere, it will be easy to just use the card as you see fit. Capital One now has travel partners! This credit card has a very good rewards rate that you will be able to take advantage of. If you are interested in earning travel miles for all of your purchases, then this credit card should be on your radar. You will be able to earn two miles for every $1 spent, making it one of the most practical credit cards out there. There is no need to worry about cumbersome bonus categories either. The fact that this rewards credit card is so easy to understand makes it perfect for just about anyone. If you like to travel from time to time, then you will be earning miles that you can use to go on vacation. 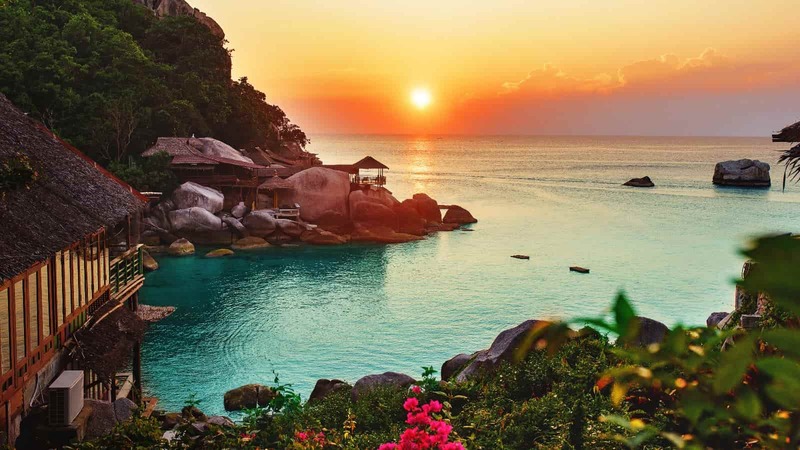 All of your purchases on the card will be earning you points and booking hotels through certain websites can be especially lucrative if you choose to pay attention to that bonus. Either way, you will be earning plenty of rewards miles and will be able to redeem them in a simple way. The benefits of card membership are very nice too. You will be able to enjoy good purchase protection benefits as well as fee credit for the Global Entry or TSA PreCheck programs. These benefits are very useful and they just make being a cardholder that much better. Even if they are not the reason that you will want to sign up, they are useful perks. Being able to enjoy using a rewards card with reasonable fees is nice too. The annual fee is there but it is not overly high. This fee is waived for the first year and it should not be too much of a burden to pay it in subsequent years. The fact that you can earn a lot of points with this card makes it great for just about everyone. You should know that there are travel credit card options that can give you a greater reward potential. This is a great card to get if you do not want to have to concern yourself with bonus categories. Being able to earn miles on all of your purchases is very nice. Some people will prefer the bonus structure of other cards due to being able to earn very high rewards on specific categories. The cash-back options on this card are not incredible either. You can choose to receive rewards as cash back but they will essentially be given to you at half value. If you want to get cash back, then you will be better off going with another rewards card. This is going to be a card that you will want to use towards travel purposes when it comes to redeeming the rewards. It is also worth noting that some people may not be comfortable with the annual fee. It is a reasonable fee with the first year being waived; however, it is still an extra cost. You need to consider whether or not this is going to be worthwhile for you specifically. If you can benefit from the way that this card is set up, then it is easy to justify the annual fee. Getting approved for this credit card is going to difficult if you do not have a good credit score. You will want to have a good score of 690 or higher in order to have the right approval chances. Those with excellent credit scores should not have a problem getting this credit card. Taking the time to check your credit score before applying may prove to be beneficial. This credit card is great for anyone who wants to earn rewards that can be used toward travel. If you like to be able to use your credit card rewards to help pay for your vacations or business travel expenses, then this card will be appealing to you. It is a great general rewards card that allows you to earn miles on every purchase that you make. If you do not like having to micromanage your credit card purchases in order to hit on certain bonus categories, then this card is going to be perfect for you. There may be some people who would prefer travel rewards credit cards that have a more specialized bonus structure, though. If you want a streamlined and straightforward rewards card experience, then this one is perfect for your wallet. Those who want to really dig into bonus categories to squeeze the rewards out of a credit card may want to look elsewhere. This is a very solid credit card that appeals more to people who want to have an easy experience. Regular travelers will love having this credit card in their wallets. Simply being able to make use of the application fee credit for the Global Entry and TSA PreCheck programs will be very handy. This makes the yearly fee justifiable even when you do not consider the various other perks. 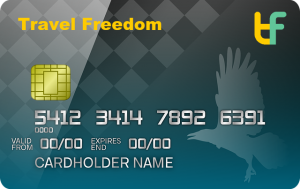 Your traveling experience can be better when you have a reliable card like this available to use so you will likely want to consider applying for this one if you think that you can make use of it. 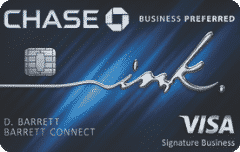 The Chase Sapphire Preferred credit card is a good alternative for you to look into. It offers you similar benefits but it differs in several ways. You can earn 2X points on travel and dining expenses, allowing you to earn rewards fast when traveling. This card can pair effectively with other Chase credit cards too and it will transfer over to many airlines and hotel chains, making redemption very easy. 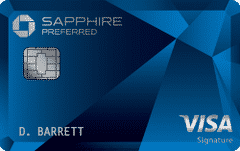 The reason to consider the Chase Sapphire Preferred credit card over the Capital One Venture Rewards credit card is that it can be micromanaged a bit more. If you like trying to maximize your rewards, then you can get creative with this Chase card. For some people, the Capital One Venture Rewards card is going to be easier and better overall due to offering extra rewards on every purchase. It just depends on what you want out of a travel credit card, but both are good options. Signing up for the Capital One Venture card will prove to be a very good choice for many people. This credit card makes earning rewards simple and it allows you to continually rack up those rewards miles. It is a travel credit card that is very practical to use for many people. 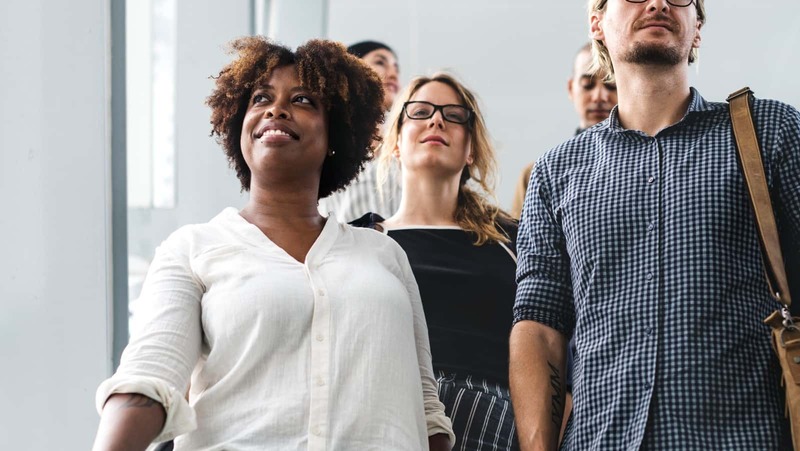 Being able to earn those rewards on all of your purchases is convenient and you should never have any trouble redeeming the rewards effectively. The fact that you get so many benefits from being a cardholder makes it an easy decision to go ahead and sign up. This is a card that can offer you many great perks while also remaining practical. You won’t be paying a high annual fee just to gain access to the credit card. The first year’s annual fee is waived and the subsequent yearly fees fall within a very reasonable range. This just might be the best travel credit card to keep in your wallet when you want something that is straightforward. It is a rewards credit card that does not leave you guessing in any way. You can earn rewards constantly and use them as you see fit. It is a lot easier to use than most other travel credit cards and gives you so much value. If you make the decision to take advantage of the Hotels.com partnership, then you can increase the overall value of this card even further. Being able to earn 10 miles on every $1.00 spent is a great deal and you can really use it to make earning rewards fast. If you travel often enough and stay in hotels, then this is something that you should keep in mind. 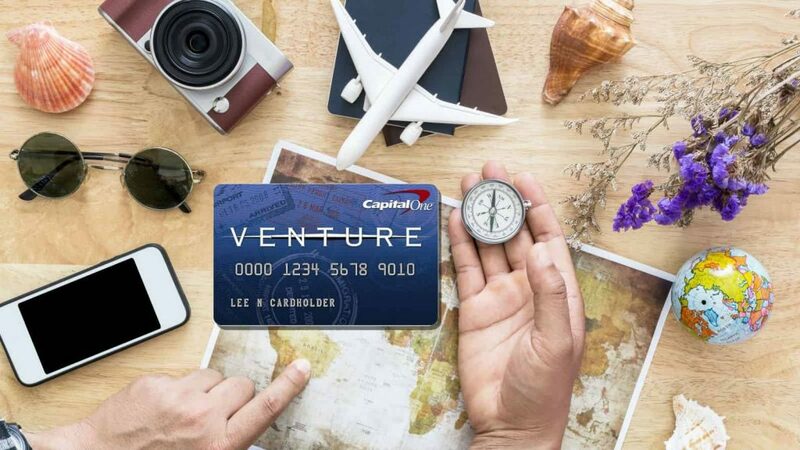 Whatever your needs are, the Capital One Venture card is a travel credit card that will prove to be beneficial.